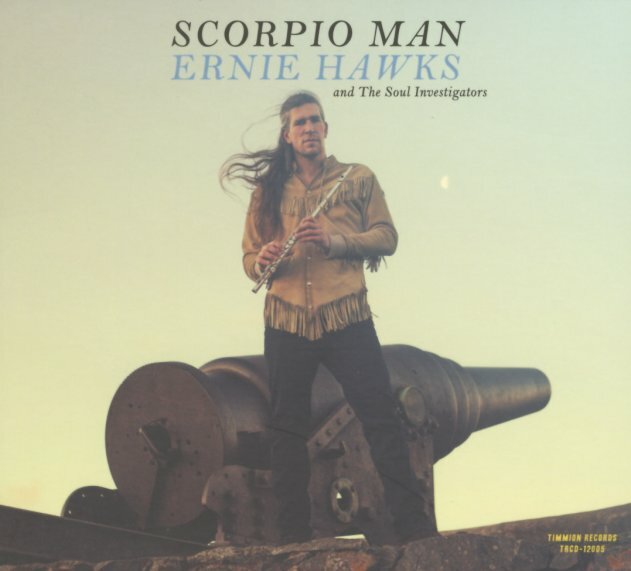 Ernie Hawks looks right out of the 70s on the cover – with his long hair, fringe jacket, and fiercely-held flute – which he mixes here with some great grooves from the Soul Investigators, in a vibe that's maybe even better than classic! The album's all instrumental, and has this fantastic sound that's way different than the usual contemporary funk set – nicely trippy at times, with echo and other effects applied to the instrumentation – and a strong ear for the overall sound, not just the power of each member of the group! Hawks is often out front, soloing with a funky flute sound – but he also handles vibes, pianoman, and trombone – in a very cool lineup that also has Martti Vesala on wah-wah trumpet, and Jimi Tenor on saxophone. All tunes are original, and they're really fantastic – each the kind that if you found on a rare soundtrack or lost jazz album, you'd be willing to pay plenty to own. Titles include "Still Trippin", "Bag Full Of Miracles", "Cold Turkey Time", "Scorpio Walk", "Windy City Blues", "Journey To The Bottom", and "Street Of Tears". © 1996-2019, Dusty Groove, Inc.